So I promised I would keep you up to date with my theatregoing, therefore it’s only right I should tell you about “Legally Blonde” the musical, which I saw last Saturday with Mrs Chrisparkle and Mother-in-law at the Savoy. Sometimes you just get one of those happy circumstances when everything falls right into place. 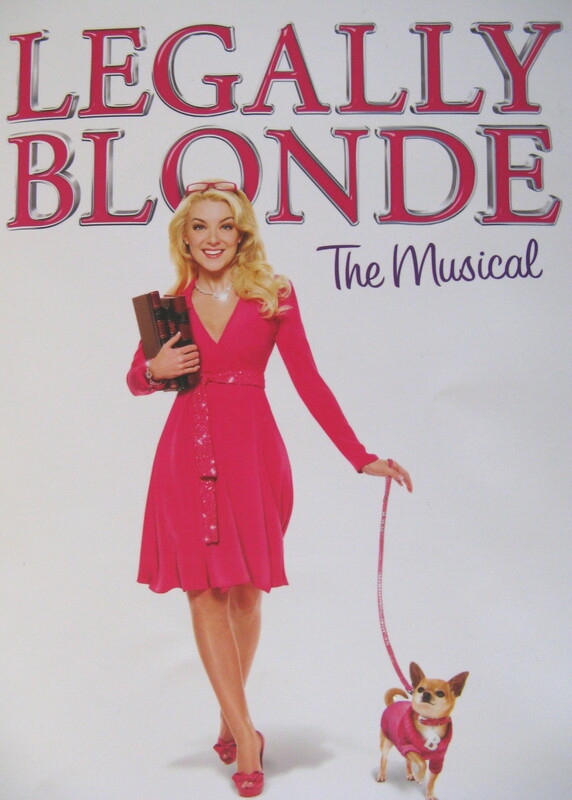 I’m delighted to say that “Legally Blonde” is a joyful night at the theatre. Witty songs, star performances and perfect casting add up to a well deserved standing ovation. I’ve not seen the film but Mother-in-law had, had enjoyed it very much; but thought the musical show was better. We’re still in Preview Mode for this show – one of the longest set of previews I can remember – so I guess it could all change before opening night, but why would they? This show is going to run and run, and with Sheridan Smith, (aka @Sheridansmith1 – go on, follow her, she’s very nice), we’ve got one of those “A Star Is Born” moments. She’s just perfect for the role of Elle, and with immaculate comic timing. She’s on stage nearly all the time and you never tire of seeing her. Also on top form are Jill Halfpenny whose Paulette was touching and hilarious, and to Aoife Mulholland (who’s come a long way since the pre-Maria days) dancing and skipping perfectly. 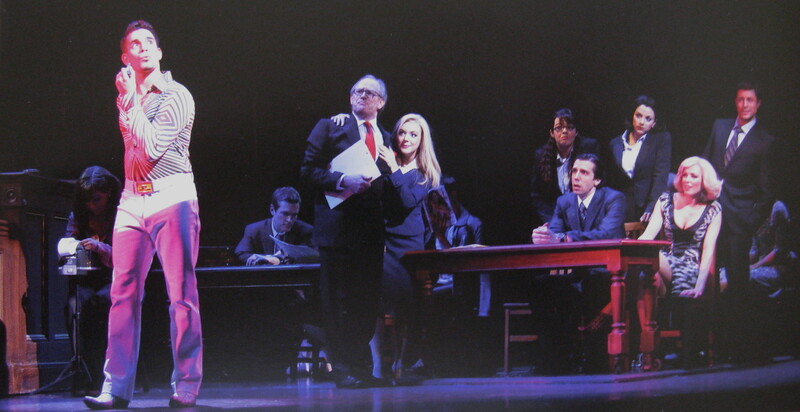 The courtroom scene is completely wonderful, engaging the audience and moving the story on apace with humour and musicality – everything a musical number should be. I’m a firm believer that, in musicals, you must come out of a song in a different place from where you went into it, if you know what I mean. The songs really need to move the story on. Nothing worse than a show where the songs hold up the story and you have to wait for them to finish before you can progress. No worries about that here. The courtroom song/scene does it brilliantly. Duncan James fans made themselves known by whooping on his entrance; I thought they were going to ruin it, but they didn’t. Mr James himself absolutely looked the part even if I found his singing a trifle underwhelming. Alex Gaumond as Emmett struck the perfect note of being lovelorn without realising it. Omigod you guys you just gotta see this show it’s like double totally fab. I had to put a sentence like that in, as it rather sums up one aspect of the show. But don’t be deluded into thinking this is a dumbed-down teenager-only-appealing entertainment. It’s a classically structured show and the best new musical I have seen for Some Considerable Time. Thanks for the warm welcome to Blogland. Whether it’s good news or not, it has spurred me on to write more. I doubt anyone reading this who has met me would think of me as Chrisparkle. But that was a nickname my mother had for me for as long as I can remember. Chrisparkle was the formal nickname – sometimes shortened to Sparkle – more often shortened to Sparks. If she called me Sparks I knew I was in her good books and there was nothing to fear. If she called me Christopher I knew I was in trouble. I don’t know whether she was in a particularly literary erudite mood when she coined this nickname but it does come from the Reverend Crisparkle (note the lack of “h”) in Charles Dickens’ unfinished work “The Mystery of Edwin Drood”. Or, if you saw the musical show back in the 1980s with the late Ernie Wise, “The Mystery of Edwin Droo-oo-oo-oo-oo-ood”. 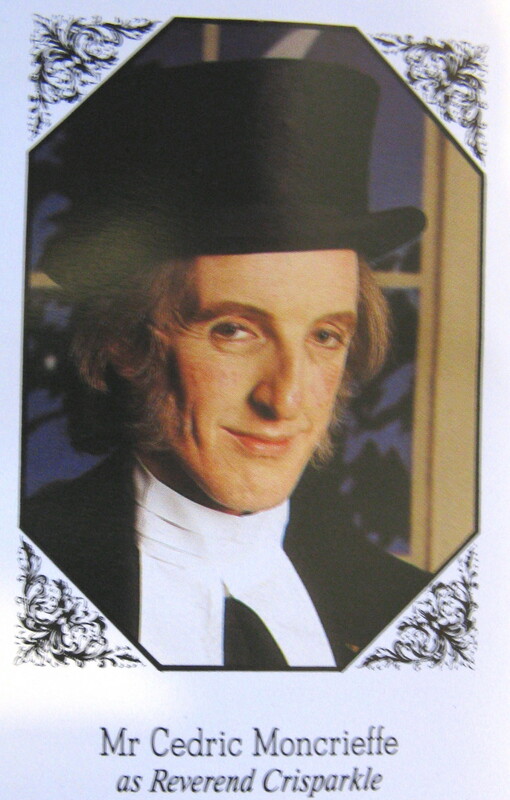 He’s a goodly (not to mention Godly) soul who almost certainly didn’t do away with Edwin, although someone did. Crisparkle, that is, not Ernie Wise. Here is a picture of the actor Martin Wimbush playing Cedric Moncrieffe playing Crisparkle (a.k.a. 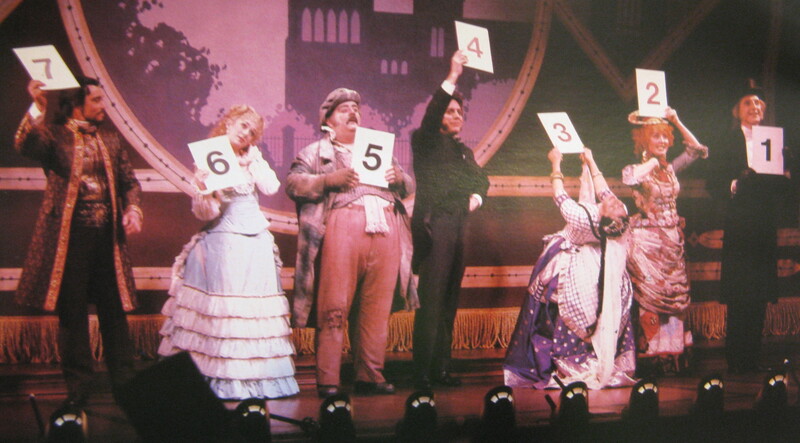 me) in the show in the 1980s – actually 15th May 1987 was the day I saw the show according to my ticket stub. And here are all the suspects who might have killed Edwin. He is/I am Number 1. Now that my mother has fallen foul of the dreaded dementia, she doesn’t think of me as Sparks any more. She does think of me as Chris, which is a good thing, although she does suspect I may be her brother and not her son. Whenever I see her she does try to ascertain our relationship early on in the conversation, but sometimes she forgets during our chat. So by resurrecting Chrisparkle online, I’m bringing back something that had otherwise been lost, and I’m quite pleased about that. I also think that to sparkle or to spark is not a bad ambition. 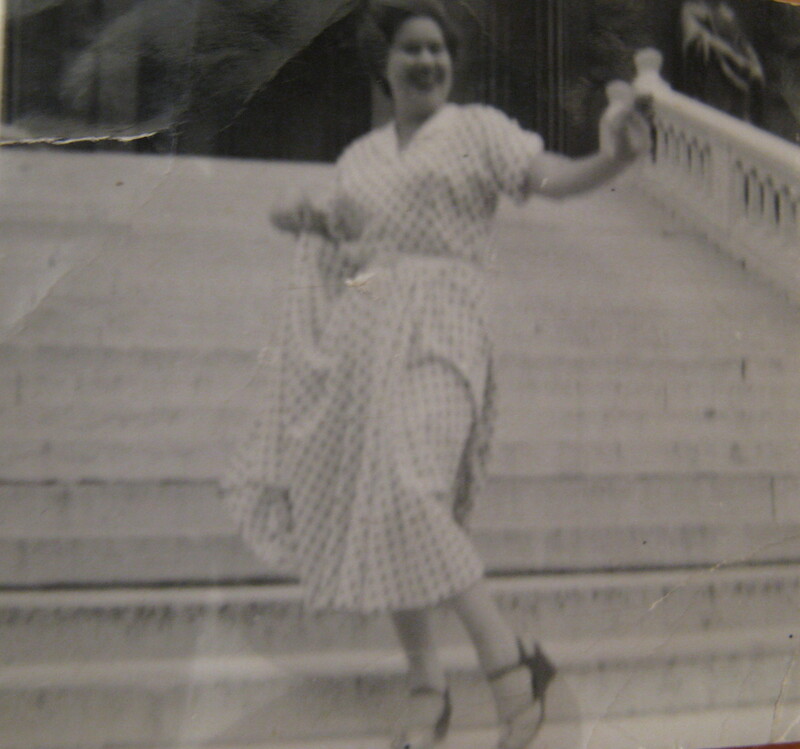 Here’s a picture of Mum in more carefree days. I believe this was taken on the steps of the Madeleine church in Paris shortly after the end of the Second World War. Even though this was a long time before I was born I can certainly recognise some of the joie de vivre that survived for many years. I’m sure she created plenty of sparks in those days with that cheekiness. 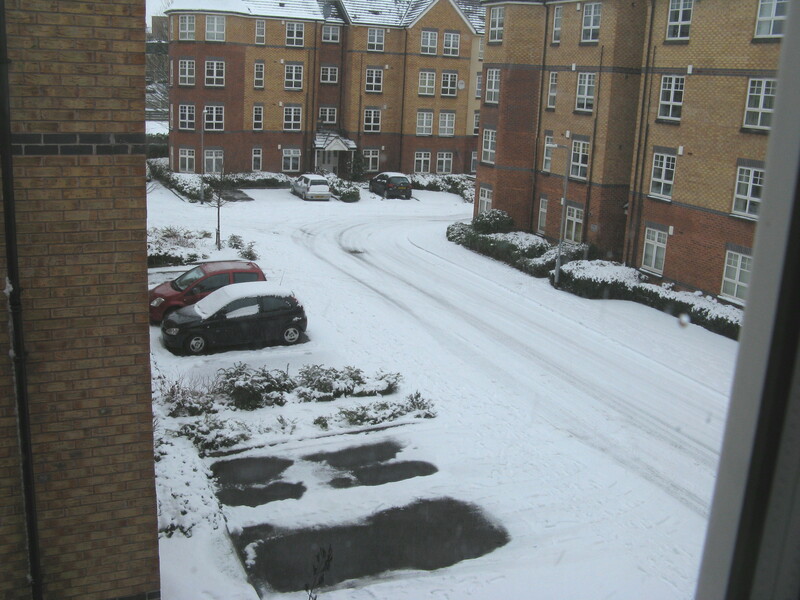 How do you decide whether or not it’s sensible to venture on to the snowy roads to get to work? Local radio shocks you with news of several hundred local schools closing, but you look out of the window and see cars and buses merrily zooming away on the main road. The side roads are more entertaining. We’re on a short slope here, and half the cars attempting it are visiting both kerbs on their way down. So you can travel 50 miles on major roads no problem but end up in A&E trying to negotiate the first 50 yards. Mrs Chrisparkle decided not to hazard out today. She had plenty of work she could do at home and I can hear her now tapping away at the laptop, making work calls and being highly productive. She’ll probably get more done today than she would ever have achieved in the office. Apparently only three people have made it in. But at the same time she feels like a scaredycat, and has somehow let herself down. It’s a tricky balance between “Doing The Right Thing” and “Being Sensible”, and I certainly don’t know the answer. I’m lucky enough to work from home anyway. I have to go out in two days time, taking my somewhat unreliable motor on a 30 mile journey. Will I do it? Will I bottle out? Dunno. Good morning, good afternoon, good evening; delete whichever does not apply. Allow me to introduce myself – I am Chris – “The Real Chrisparkle” – as opposed to any other Chrisparkles you might encounter. Every year I always allot myself the same New Year’s Resolution – to have more fun. I work on the theory that no one ever died wishing they’d had less fun. And for the past few years I have largely achieved this resolution. But this January I felt like I should strive for something further – and I resolved to be more creative. So I thought I would try my hand at writing a blog. I have read many other blogs with pleasure over the years and I know I have to work hard to make it a good one. Hopefully you’ll get a bit of sparkle out of it anyway. A few things about me – and these are what I expect to be the recurrent themes of my blog – I like theatregoing and have done since I was a wee lad. Plays, musicals, Shakespeare are all grist to my mill. Dance productions too – dance done magnificently just about beats anything you can see on a stage. Dance that isn’t can be extremely tedious. Music was my first love, and it will be my last – but I have this weird thing about Eurovision I’m afraid, so that will also play a prominent role in the blog (to mirror the role it plays in my life). Literature – yes I’m into that, but I don’t read anywhere near enough. Travel – yes, I can tell you all about my holidays, I know you’ll find that riveting. Sport – yes, to an extent; I’ll share my woes when my favourite football team loses and will be enthralled at Olympics and World Cup time. I want to improve my photography skills, so maybe you can help with that – I’ll let you know. Oh and just generally going out and having a good time. There’ll probably be quite a lot of that. God this looks really dull. If you can stick with me through this introduction, I promise I will stick with you too. Let’s be supportive! !